Some great feedback from our satisfied clients in Woodbridge and across the country. "Thanks for this, and pass my thanks onto the surveyor – a very useful and well written report!" "Thankyou so much for sending this report so quickly. It was great meeting you. The report is very informative, and I learnt a lot and now understand why I have these problems with my flat, and how I can improve them. Thankyou for a great service." "Dear office, it was such a pleasure to meet you last week, both my husband and I were grateful for your thorough survey and are grateful for the report you have provided. We agree, there is a lot to carefully consider and weigh up here. Was good to meet you and thank you for providing us with such an excellent service." Providing a full range of building surveying services to owners and occupiers of residential, commercial and industrial premises in and around Woodbridge, the Right Surveyors fundamentally understand that each client has different budgetary and unique property requirements. Give us a call on 01473 456 457 or Freephone on 0800 880 6024. 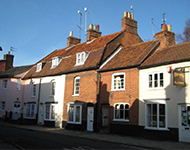 Chartered surveyors covering Woodbridge, Framlingham, Saxmundham and the surrounding areas. Read our latest monthly property newsletter for news, information and building surveying advice from our network of property surveyors including our Woodbridge Chartered Surveyors and property valuation consultants.